This page is dedicated to the memory of the many great Sensei that I have been fortunate to have learned from and known. Though they have passed from this physical plane of existence that we inhabit, they are never forgotten. I pause to add the following concerning the Yudansha (those of Black Belt rank) of the Goshin-Do Karate-Do style of Shihan Thomas DeFelice. The names of the Yudansha on this page will not be great in number by the so-called standards of today. 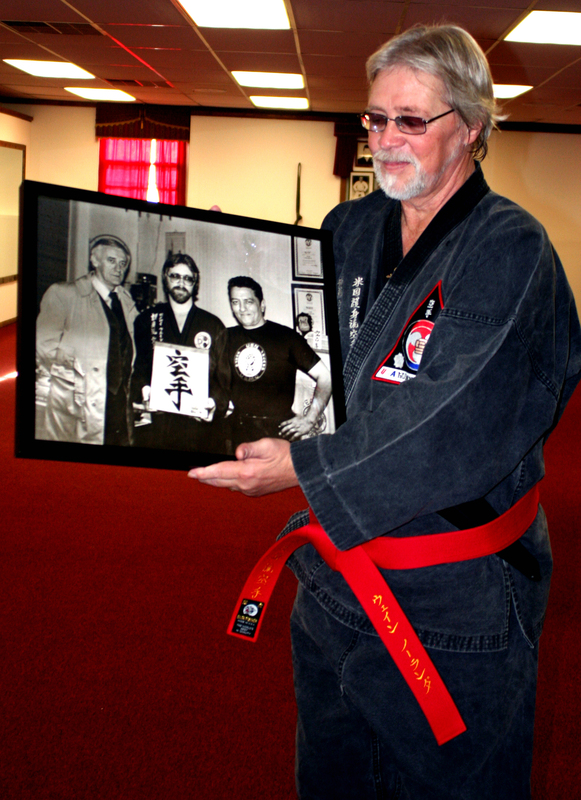 Shihan DeFelice opened the doors of the Dojo in May, 1965 in Palisades Park, New Jersey. His style continues to be taught today. 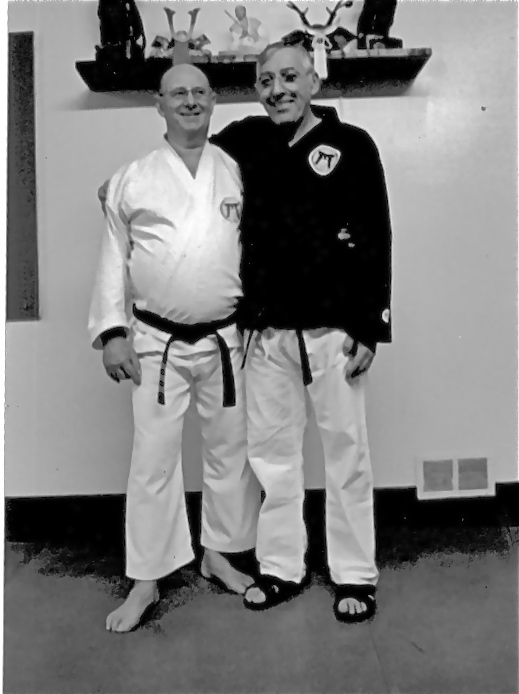 Since May, 1965 under Shihan DeFelice’s tutelage, or my own after he retired from the day-to-day operations of the Dojo, only twenty-four men and one woman have ever earned a Black Belt rank in the style. 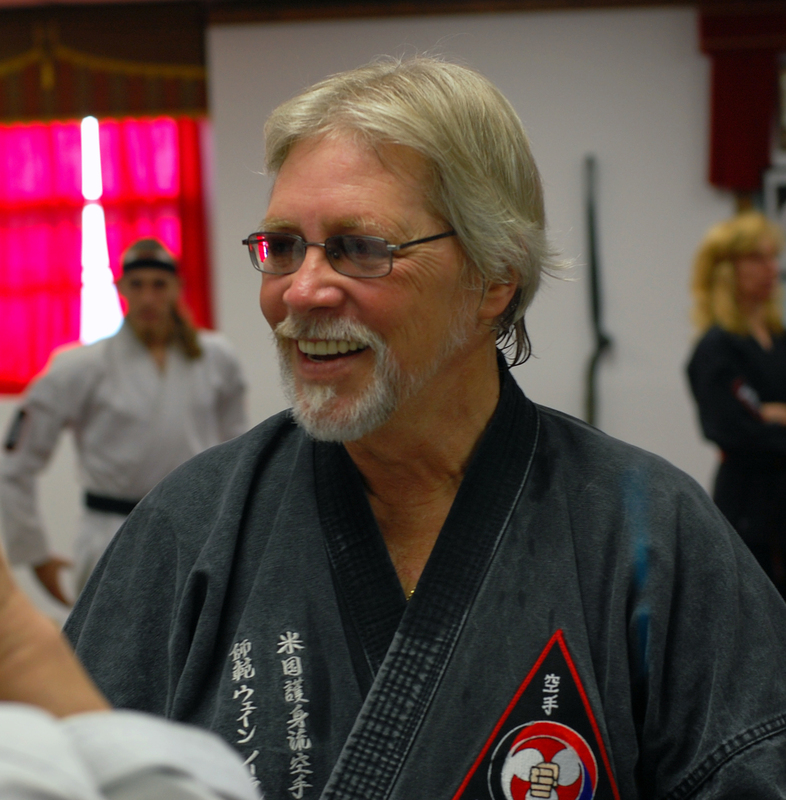 One must take into account that at various times, Shihan DeFelice taught full time and oversaw the operations of three Dojo and one affiliate Dojo located in Palisades Park, NJ (Hombu Dojo), Garfield, NJ, Maywood, NJ and Teaneck, NJ (affiliate Dojo). 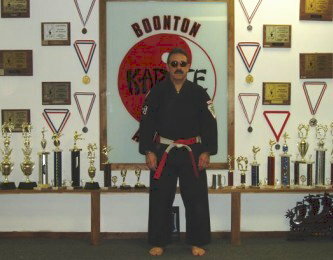 After Shihan retired and I oversaw the day-to-day operations of the Dojo, I, too had at various times taught full time and operated three Dojo located in Palisades Park, NJ (Hombu Dojo, eventually relocating in Cliffside Park, NJ), East Rutherford, NJ and Bergenfield, NJ. So despite the thousands of people who walked through the Dojo, only twenty-five have walked through the “Doorway To Doom” and earned a Black Belt rank. They are Sensei – they are more than mere human. 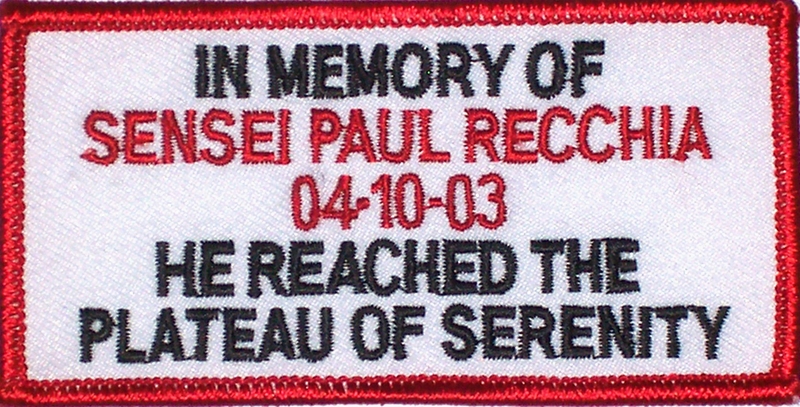 Shihan Paul Recchia, or Sensei Paul as he was known to me, was one of the strongest Black Belts in the Goshin-Do Karate Dojo. In May 1974, when I was thirteen years old, for the first time, I witnessed Sensei Paul’s ability in the art of Tamashiwari (breaking). 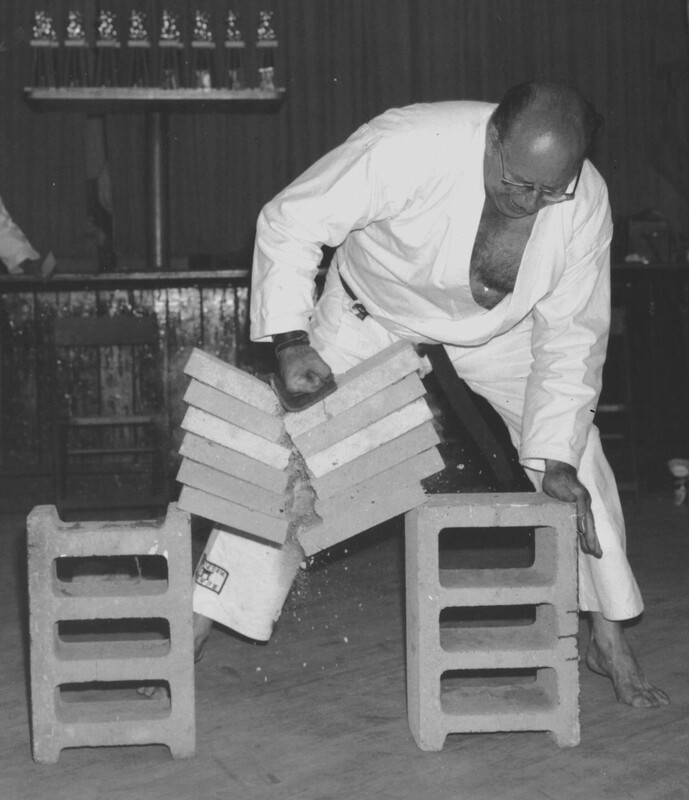 He broke six concrete blocks, without the aid of spacers, with one Karate strike. At that time, he was almost 60 years old! I like to think that when we hear the thunder in the heavens above, Sensei Paul is once again practicing his Tamashiwari. 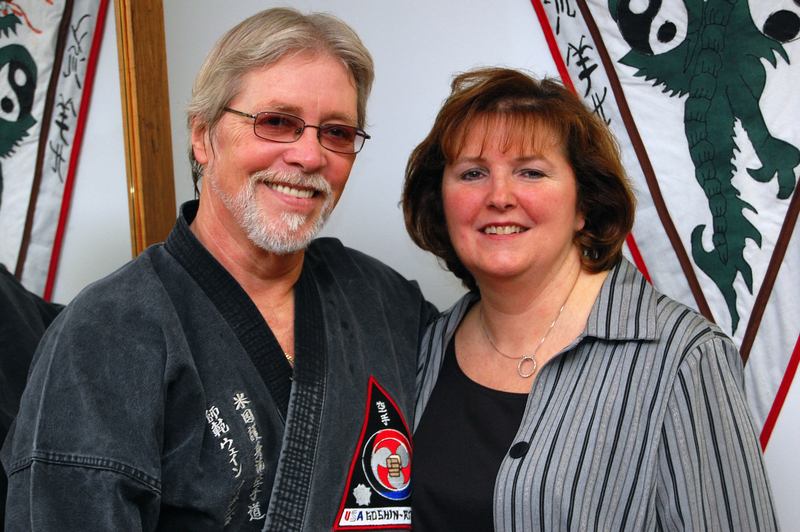 Sensei Nick was the Chief Instructor for the Junior Division of the Academy Of Goshin-Do Karate-Do. In this capacity he was a guiding force in the lives of thousands of young men and women in Bergen County, New Jersey. Sensei was demanding, but fair; stern, but caring. In essence, he was a “Sensei”. Should a student fail to perform to the best of their ability, Sensei Nick would refer to such failure as being a “Pork-chop”. Perhaps then, I can best encapsulate Sensei’s profound and enduring effect upon me and thousands of others with the following. While God reserved for Himself the province of turning water into wine, He bestowed upon Sensei Nick the ability to turn “Pork-chops” into Men. 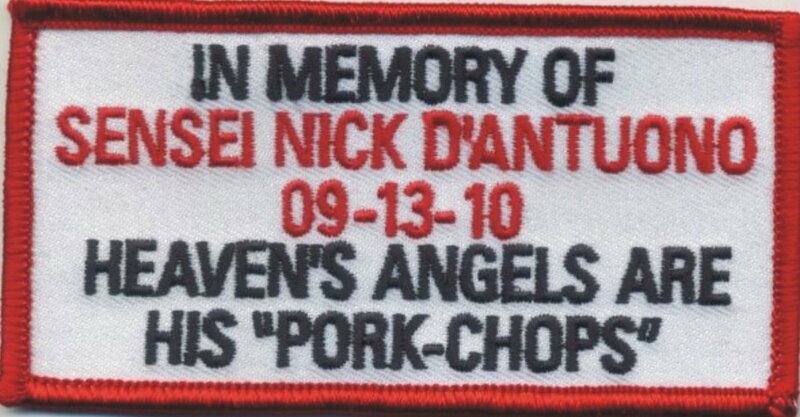 God bless Sensei, Heaven’s Angels are now your “Pork-chops“. 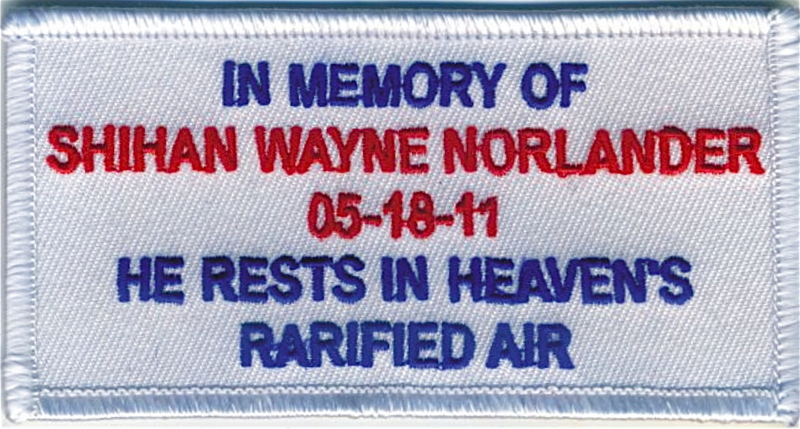 Memorial Poem: Winds that blow – ask them : “Which leaf on the tree shall be next?” (See Note # 4). Sensei Wayne was unique amongst men in that he lived a diverse life and touched so many lives in turn. My life is all the richer for having known him. 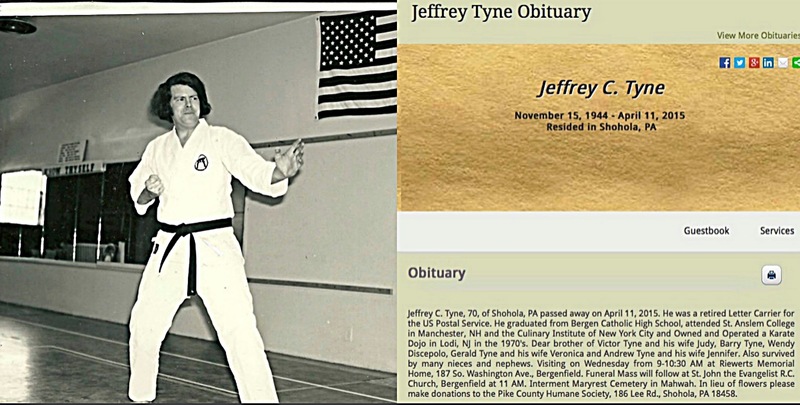 To his family, he was a husband, father and grandfather; to his Karate students he was “Sensei”; to the martial arts community he was “Shihan”; to his co-workers, he was a dedicated worker; to the members of his union, he was a responsible leader, to fellow Harley riders, he was a road-companion, he was “Coach” to numerous youth and so much more. To me, Sensei Wayne was the embodiment of the word “friend”. We shared not only Dojo time, but also time “on the road”. We had explored the depths of Karate-Do in and out of the Dojo and traveled the asphalt highway on two wheels (on Harleys, of course) . Sensei Wayne thirsted for knowledge. It was his blessing and his curse to explore the minute details of Karate-Do that others, who choose to be “blissfully unaware”, would ignore. We spent hours on the telephone often exploring “only” one Karate-Do topic. For my part this meant pacing around my home as I talked for it was impossible for me to leisurely sit when talking to Sensei Wayne; the conversation was that engrossing. While I shall miss our conversations, I know that Sensei Wayne will live on in the hearts of his family and in the dedication and sweat of his Yudansha and students. I first met Shihan Sammartino in November, 2001 when I was inducted into the Alliance of Harmony, Circle of Honor, which Shihan founded. Shihan Sammartino is living embodiment of the ideology encapsulated within the title “Sensei”. There are many that will miss his true heart. Note 1: This is an adaptation of a statement made by Ernest Hemingway. Mr. Hemingway made the statement in 1955 as part of his Nobel Prize acceptance speech, made in absentia. In the original speech, Mr. Hemingway used the word “Writer” for which I have substituted the word “Sensei”. Note 2: This was the death poem (found in the quiver) of the Samurai Taira-no-Tadanori (1144-1184) killed in battle by Okabe Tadazumi. Note 3: This was the death poem of the poet Fusen (1720-1777). Note 5: This was the death poem of the poet Gitoku (1754). you are a true master and a benefit to all martial arts.